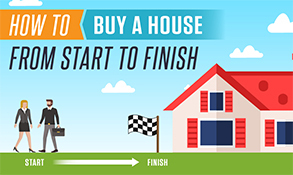 #1: BUYING A HOUSE - ARE YOU READY TO BUY A HOME? This one is all you. Nobody can make this decision for you. However, most people in this situation will solicit opinions from friends, family or their spouse. I always advise buying from a monetary standpoint since you build equity in your property, you may write off the interest on your loan payments and other things around your home and you'll never be paying more on your mortgage than the property was worth when you purchased it...meaning, if you bought the home for $100,000 ten years ago, you will still only be paying a $100,000 mortgage today even if the home is now worth $250,000. With rent, you'll always be paying the market value of a property as it continues to rise in value through the years. However, sometimes renting is easier if you travel a lot for business and do not have time to keep up with the maintenance of owning a home. Or, maybe you don't have the extra cash to fix unexpected issues as they arise. Owning a home is not cheap because things will break at the home. Things like the HVAC, foundation, painting, broken tiles, etc. will break and need repair. These will be out of pocket expenses for you. If you don't have this kind of money, it may be best to keep renting. Remember, renting allows you to be free to move as soon as your lease has expired and will allow you the freedom to move to various different locations in the event your work changes to another area, you are relocated to a different city, you decide to move away from your current location for personal reasons, you get married and need a bigger place, you want to buy a pet and your current lease does not allow for pets, you get a raise or a job where you make more money and can afford a nicer place, or you decide you like the new apartments or condos which were just built and you can afford to live in a new rental property. Renting does have its advantages as well. So you've made the decision to buy a home, now it is time to find that home by searching online. 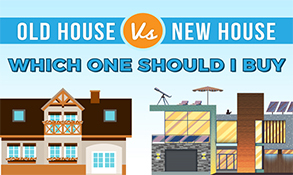 There are many different options for which to search for homes online. 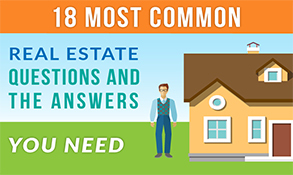 The two primary sources of searching online are (1) local Realtor websites; and, (2) the big, national portal websites like Trulia, Zillow and Realtor dot com. 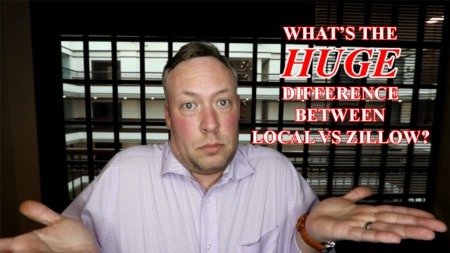 Each site will offer a few variations from the next, whether it is local vs local, national vs local or national vs national. While I am biased as a local Realtor, I would highly suggest finding a local Realtor's website to use as your "go to" search. Why? Local Realtor websites have a direct MLS feed to the local MLS. I personally know that my websites are updated every 15 minutes with new properties and status changes (homes which have gone under contract). 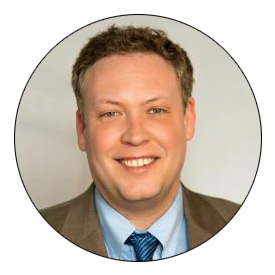 As a local Realtor, I receive the top treatment from the local MLS which means my site is never outdated with listings which have already been placed under contract or, worse, have already been sold. National portal websites are what we call "syndication sites." This means that the information is syndicated to the portal and is not a direct feed. The biggest complaint I hear from clients is that the information on large portal sites is constantly outdated. This happens for a couple of reasons (1) as we discussed above, the national website is not actually a Realtor member of the local board and therefore they do not receive the same direct feed and updates as local websites; (2) national websites have to try and keep up with EVERY listing and EVERY change of a listing throughout the country. They simply cannot pull information fast enough from local MLS indexes to keep up with all of the changes in EVERY market of the United States. This leads to the information on the websites being outdated by days or even weeks. Some websites will ask you to register your information and some will not. If you find a local website which is very user friendly, go ahead and register your information. Registering will allow you to save your favorite listings, keep track of the saved listings, receive automatic updates for new listings as they are listed on the market and most websites will also send you homes in your price range which have been reduced in asking price. Maybe try out a few websites before you commit to one, but to avoid confusion and streamline your search, pick one website and stay with it! Everyone's tastes in websites will be different. 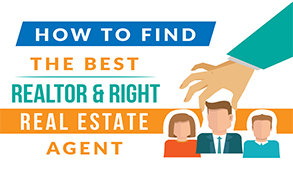 You need to find the best real estate website for you. Find one which makes you feel comfortable, a design you like seeing (since you'll probably see it a lot if you spend hours looking at homes), find one which is user-friendly and also has a good appearance on all types of platforms. Why is a website which has a good look on all platforms important? In today's technological society, you will absolutely want a website you can search on your phone, tablet, laptop and desktop computers. Plus, good websites will feed you new listings and updates to the MLS at all hours of the day. Therefore, you will be able to get the latest listings and price reductions on whatever device you have handy. While many websites have made the conversion to be mobile friendly, some old school website designs still operate on a template which only applies to desktops and larger screens. You can see why using a website which fits all devices would be important during your search. If you are like most people looking for a home, you will be very interested in doing your own web searches for homes. Make sure you choose the site which is easy and fun for you. 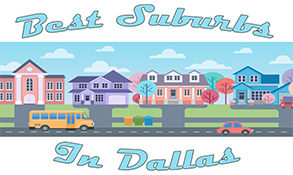 We pride our website on being one of the best websites to search homes for sale in Dallas TX. Also, make sure the website you use is being updated frequently with new content. Nothing is worse than using a website which is stale and hasn't been updated in months or years. You'll see and learn very quickly if the website you choose to use is being updated with new, fresh content allowing you to keep up with the market...or.... if the site is like a ghost ship where it seems to have been abandoned years ago with no sign of life. Very few people have the reserves needed to purchase a home for cash. That means a large percentage of people have to obtain a mortgage for their home. A mortgage process is not something to be scared about. While it is intense, will cause some anxiety, and will be a thorough examination of your past and present credit history, outstanding debt and current income, it is a necessary part of purchasing a home for most buyers. How can you make sure your mortgage process runs smoothly? Several tips I would offer... (1) ask your Realtor for a list of a few mortgage professionals they might recommend. Realtors have clients getting mortgages and home loans on a daily basis. If the agent has been in the business for long enough, he or she will generally know the better lenders who get deals closed and closed on time. Closing a loan when it is supposed to be closed and done on-time can be a major issue for some lenders. Some lenders are not as organized as others and your agent will generally know who to avoid as a consumer looking for a mortgage. (2) Make sure to do your job. Lenders will ask you for many different pieces of information and documentation during your loan application process for a mortgage. Don't be surprised or offended when they ask you for private information. They are doing their best to get you the money for your home and getting this information is important to what they are doing. You can help with the process by getting the requested information as quickly and as efficiently as possible for your lender. This will be a big help to keep things on track for your loan to close on-time with the closing documents reaching the title company ahead of schedule. You can definitely help speed up the process by working diligently with your lender. (3) Ask friends who they used for their mortgage or if they know a good mortgage professional they would recommend. Sometimes friends can also be of assistance when it comes to finding a good mortgage professional. What are some of the things a mortgage professional will want from you? Well, there will be a credit report, they will want to know about any outstanding debt you have like credit card debt, auto loans, furniture loans, jewelry loans, etc. Lenders will throw about the term "debt to income ratio" which means how much do you make that is already theoretically spent by current, outstanding debt. Once you have found your website and narrowed down your searches to an approximate of what you want in a new home, it is time to call an expert. When I say expert, I mean a Realtor. A Realtor is a licensed agent in your particular state who belongs to the National Association of Realtors. 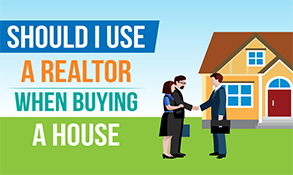 Having a Realtor help you with the purchase of your home will do a few things. First, a Realtor knows the market and can help you decide what area of the city is the best place for you with what you want in a home and neighborhood. If you want a happening place with lots of young, singles and great nightlife, your Realtor could point you in several directions. For example, in Dallas, we would direct you to either homes in Uptown, condos in West Village or condos in Addison. With what you just described as wanting, we know exactly what areas will suit your needs and we can point you in the right direction without wasting a lot of your time looking in other places. If you want a quiet, family-oriented city with a great school district, perhaps we would recommend real estate in Southlake, houses in Colleyville or homes in Frisco. Each of these cities would meet the criteria of being more of suburban setting with parks, family-friendly activities, and great schools. As you can tell, Realtors know the local market. Realtors also can schedule multiple showings for you at once. This means we can show you as many listings in a day as the day and time will allow. 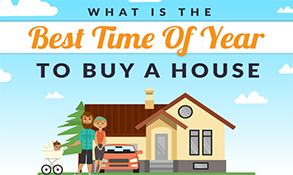 You don't have to call each listing agent to try and schedule a time to see a particular home. As a Realtor representing your interests, we can get you into multiple homes and properties you want to look at during your home search. Now it is time to find the right home. This part should be fun! Once you've narrowed down your searches, contacted a Realtor and lined up your showings, get ready to have some fun. You'll likely want to see at least a handful of homes. I highly suggest taking a notepad for taking notes on each home. The homes will start to run together in your mind unless you take notes. I also always take the official MLS listing sheets with me for my clients to help them remember the homes we've seen. I also suggest that my clients take a camera or use their phones to snap pictures of the homes as we tour them. Again, at the end of the day, the homes will start to run together in your mind unless you do something to remember them individually. The chances are high that you will have your "wants" or a "wish list" in your mind about what exactly you want in a home when shopping. For example, you may want a large kitchen, 3 or more bedrooms, a pool and a fireplace in your master bedroom. However, there is also an excellent chance that you will have to sacrifice one or more things from your wishlist in the end. Make a plan of what is most important to you. We call these a "must have" in your new home. Arrange an order of things you are willing to give up in your new home from least important to most important. Once you find your new home, it will be time to write the offer known as the contract. 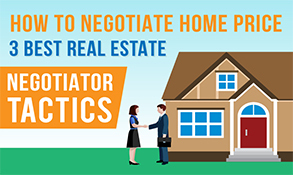 Realtors are trained on contracts and contract negotiation to make sure the contract is done correctly with no mistakes to protect you and your interests. Once you submit the offer to the seller and the seller agrees to terms, it will be time for your "option period." 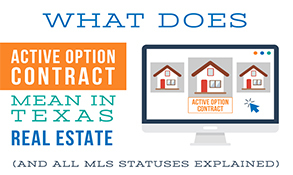 In Texas, the option period is a specific number of days written into the contract which will give you, the buyer, a chance to do any inspection you want on the home while still allowing you to walk away from the home if you find major issues or if you simply change your mind about wanting to buy the home. The option period allows you to walk away for ANY reason! You do not have to give a reason for walking away from the home during the option period. You may simply walk away even if you change your mind or find a home you like more during this time. In order to have a valid option period, you will have to give the seller something called "consideration." Consideration is done in the form of money. "Option money" (as it is called in Texas) will be paid directly to the seller from you and it is money which is non-refundable. If you walk away from the home during the option period, you will lose your option monies. The amount of the option monies is negotiable and is usually based on the asking price of the home. If, however, you continue with the purchase of the home after the option period, the option monies will be credited to the purchase price of the home at the closing. Smart buyers will have a home inspection during the option period. A home inspector will go through the home and his or her job is to find all things wrong with the home while testing all structural and mechanical components of the home in the process of the inspection. Once you get the home inspection report, talk to your agent about what is negotiable and what you might ask the sellers to repair. Again, you may walk away from the home during this period because of the option monies mentioned above. 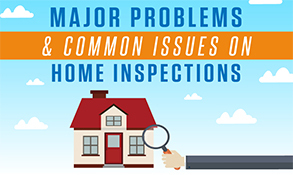 This is a good time to talk to your agent about the problems found in the home inspection. During this time, and behind the scenes, your lender will be doing their final preparation work to close your loan. Your lender will be doing two things on your behalf. First, the lender will be ordering a survey. This means the lender will be sending out a professional surveyor to take measurements and boundaries of your home and the surrounding land. The lender wants to make sure there are no easements or encroachments onto your new property. This means they want to make sure the neighbor did not build a fence which comes across onto your property. This is for both yours and your lender's protection. Second, the lender will be ordering an appraisal on the new home. This means the lender will be sending a professional appraiser to appraise the house and let the bank know its current value in today's market. The lender does this for both their protection and your protection. The lender wants to make sure you are paying fair market value and, also, that the lender is loaning money for fair market value. Let's be silly for a minute and say the contract price on your new home is for $1,000,000. Let's also say the appraiser comes back to the lender and tells the lender the house is only worth $200,000. The lender is not going to loan $800,000 above the current market value of the property. Why? 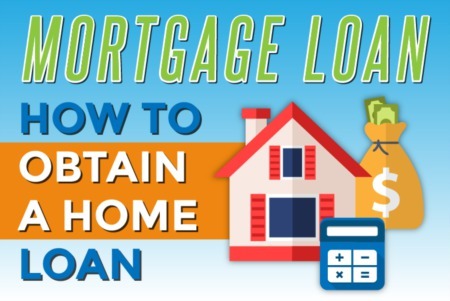 In case you do not make the mortgage payments and the lender must foreclose, the lender does not want to be stuck in a home where they loaned $800,000 above market value. This would mean the lender would, theoretically, lose $800,000. So, lenders will not loan over the market value of a home. For the most part, appraisers will value a home at the contract price because Realtors can tell through comps a very good estimate of what a home is worth. However, there are times where the contract price and the appraisal do not match. In that instance, you will have to talk to your agent about what to do. The big day has arrived. It is time to go to the title company to close your home! This will be about an hour process for all of the documents to be signed and notarized at the title company. In most cases, your agent will be present at the closing. While the role of the agent at the closing is very small, I like to be at all of my clients' closings in case anything goes wrong. My presence will allow me to be right on the spot to make any necessary corrections if they should arise. Please know there will be many documents and forms for you to sign at the title company. Your lender will require you to sign many documents about truth in lending practices, the amount you are financing, documents stating you are not committing mortgage fraud, papers stating you are who you claim to be and, most importantly, forms stating that if you do not make the agreed upon mortgage payments that the bank will foreclose on your home and take the property. You will be informed of upcoming tax liabilities and more. Also, you will be shown and given what we call a HUD statement. This form will show you a breakdown of exactly where the money is going and who is receiving funds from this real estate transaction. You will see fees from the title company, attorney fees for preparing the documents, escrow fees for holding monies during the deal, prorated taxes, commission disbursements for the agents involved and more. This is a pretty complicated document if you don't study them daily. If you have any questions, ask the Escrow Officer handling the closing. He or she will be able to answer any and all questions you may have about the HUD. When you close, you have officially signed all the documents required to purchase the house. However, you may not receive keys to the home until your loan "funds." We will talk more about funding in the next section. Both parties, buyer & seller, have to sign at closing to make the transaction official. Both parties will use the same title company, and the title company will be determined in the body of the sale's contract. Determining a title company is a negotiable part of a contract. However, this is usually not a deal breaker on 99% of negotiations. Please know that there generally will also be some additional fees you will owe at closing. These are called closing costs. If you are concerned about closing costs and the expenses, it is best to talk with the title company and your lender ahead of time and ask the title company for a "preliminary HUD." This is a very close estimate of the final HUD and will give you a good idea of your closing costs and what you will need to bring to the closing table. Please note that in Texas, closing costs must be paid in a cashier's check or wire transfer. The closings fees may not be paid by a personal check. Also please know that your Realtor does not control closing costs and has nothing to do with your closing costs or how much you will need to bring to closing. These amounts are set by the state, title company, and your lender. #8: YOUR LOAN NEEDS TO "FUND"
Closing is over. You have signed all the documents required by your lender and the title company. You, of course, want the keys to your new home! Well, there is one more additional hurdle before you get the keys to your new property. It is called "funding." Funding is exactly as it sounds. Your loan must be, well, "funded" by your mortgage lender. This means that the lender sends the funds to the title company for disbursement. The disbursement will be handled by the title company and people paid by the disbursement of funds will be the seller, the title company, the prorated taxes, the real estate brokers involved in the transaction. Important to know about funding - funding is done by a wire transfer from the lender to the title company. Here in Texas, we are on Central time. Wire funds work on Eastern time, so the funding on our end does not take place after 4 pm Central time (5 pm Eastern time). If a home does not fund before 4 pm Central time, this means the house will not fund until the next day. 99% of real estate deals and title companies will not release the keys to the new homeowner until the deal has officially funded. Once the funds reach the title company, the keys will be issued to the new owner. One tip I give to my clients about closings - Do NOT schedule closings for Fridays. Lenders and title companies do not work over the weekends. Funds are not wired over the weekends either. This means if a snafu happens during closing, it will not be straightened out until Monday at the earliest. It also means that if the home does not fund by 4 pm on Friday, you will not get the keys until Monday morning. Also, please know that your Realtor has nothing to do with the release of keys. The title company is the one who ultimately decides as to when to release the keys to the new owner(s). There is nothing your agent can do to get the keys early if the deal has not funded. This is because title companies are the ones taking on the liability if they release a key to a new owner without the proper funds having been sent to the title company. Let's pretend that the lender denied your loan at the last minute but you have already gotten the keys from the title company. Let's keep pretending and assume you have started moving into the home before the funds arriving at the title company. Oops... your baby just spilled his red Kool-Aid on the new, white carpet of the house. "Oh well," you're thinking. "I own the home now, so I'll get it fixed." Wait, remember that your loan was just denied, but you don't know about it yet and you're already spilling things on the carpet and moving your boxes into the home. 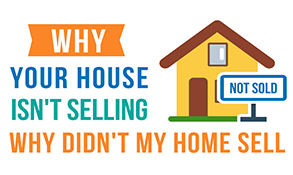 The title company is the one who would have to answer to the seller about the damages to the home since you still haven't paid for the house through the "funding." This is just an example as to why the title company will not release the keys until the deal funds. Again, your agent has nothing to do with the release of the keys. This is up to the title company and only the title company. #9: CONGRATS! YOU OWN A HOME! Congrats are in order. You have made it through the home buying process. Hopefully, you met some great and outstanding professionals along the way who made your home buying process easier and helped make your dream a reality. Involving experts in the field of real estate is an excellent way to ensure a smooth and calm purchase of your new home. The crucial players in your home buying experience will include your Realtor, the home inspector, your mortgage lending professional, the title company and Escrow Officer, your movers, your insurance company, the surveyor, the home appraiser and any other professionals you consulted along the road to your home ownership. I'd like to thank all the professionals who allowed me to link their articles and contributions to this post which, hopefully, gave you, the reader, a bit more insight on the entire process of buying a home from start to finish. The goal of this article was to give you a quick but detailed overview of buying a home and the process as a whole. If you like this article, please consider sharing it socially. A lot of our business is built on the referral of past clients, and we appreciate the opportunity to earn your business.